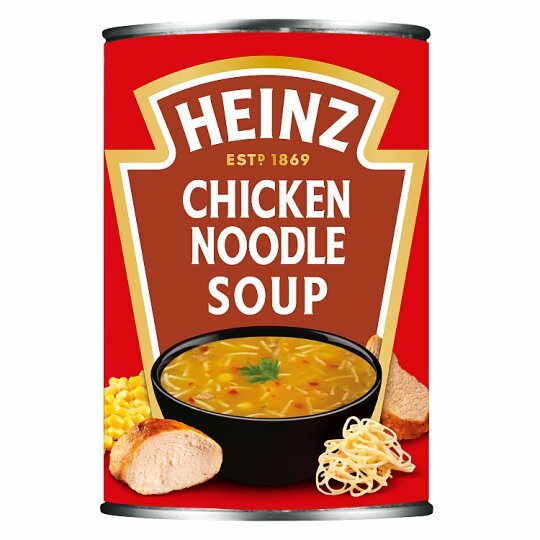 Enjoy the delicious taste of Heinz Classic Chicken Noodle soup. Made to our own special recipe, with a blend of the finest ingredients to create a delicious soup that remains a family favourite. Fresh off the hob in a steaming bowl bursting with flavour, serve with warm crusty bread and a sprig of coriander. Why not try some of our other Classics recipes? The original and best, loved for generations…it has to be Heinz.